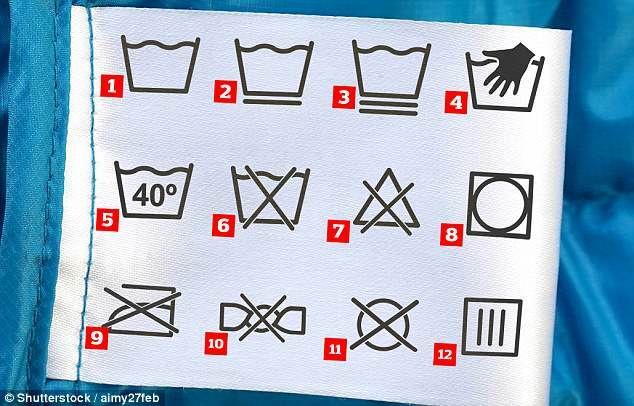 Home News Fewer than one in seven of us can identify six most common washing symbols - so can YOU do any better? 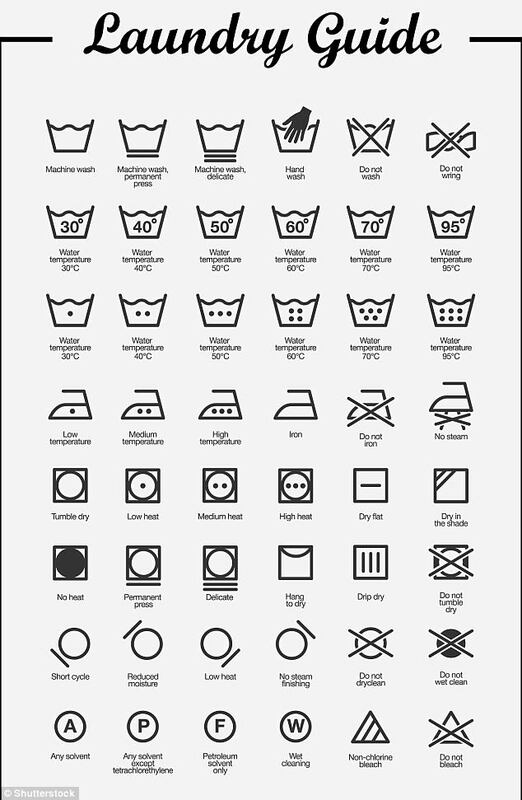 Fewer than one in seven of us can identify six most common washing symbols - so can YOU do any better? Men are the worst offenders with more than three quarters (78 per cent) always using the same programme on a washing machine regardless of the instructions. Almost half of women (48 per cent) used just three programmes or less. Trutex said the lack of understanding over symbols is destroying thousands of pounds worth of clothing. While almost eight out of ten people (79 per cent) believe it is important to check the labels on their clothes, less than half (39 per cent) look at them when buying a new item. Most women (90 per cent) said they had learned how to wash clothes when helping their mothers as young girls with almost all (95 per cent) separating out whites and colours. One in four said they never looked at instructions and one in six had never used a washing machine.Some seven in ten men said the first time they used a washing machine was on leaving home with two thirds saying their first experience was a commercial laundrette. Overall less than half (47 per cent) of all who took part in the study 'often' check labels. Trutex asked a sample of householders to identify seven of the 35 different symbols found on labels. The symbols covered machine washing, dry cleaners, tumble dry, adding bleach and ironing. Matthew Easter, managing director at Trutex said: 'The research shows a huge lack of knowledge when it comes to knowing what care labels mean and an ignorance of their importance. 'The labels are there so the best care can be taken of fabrics and show how they should be treated.